The Buffalo National River is one of Arkansas’s greatest natural treasures. 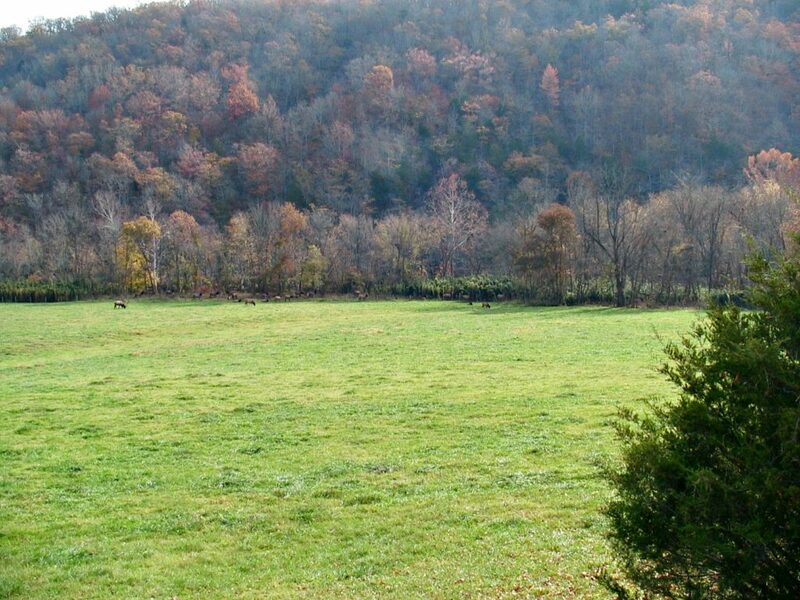 Along with numerous hiking trails, campsites and river recreation, it is home to Arkansas’s only elk herd. Though elk once thrived in Arkansas, increased settlement, hunting and land development drove the elk across Arkansas and the rest of the Eastern half of the United States into extinction. Elk weren’t sighted in Arkansas after the 1840s, and the last Eastern elk was reportedly killed in Pennsylvania in 1877. In the 1930s, the U.S. Forest Service made the first attempt to bring elk back to Arkansas by transporting 11 elk into Franklin County. Slowly a herd of two hundred was established but the herd disappeared by the 1950s. It wasn’t until 1981 when the Arkansas Game and Fish Commission (AGFC) stepped in that elk returned to the Natural State. Since the Eastern elk were extinct, the AGFC chose Rocky Mountain elk to replace the herds that once existed in the state. The elk were settled into the Buffalo National River area beginning in 1981. 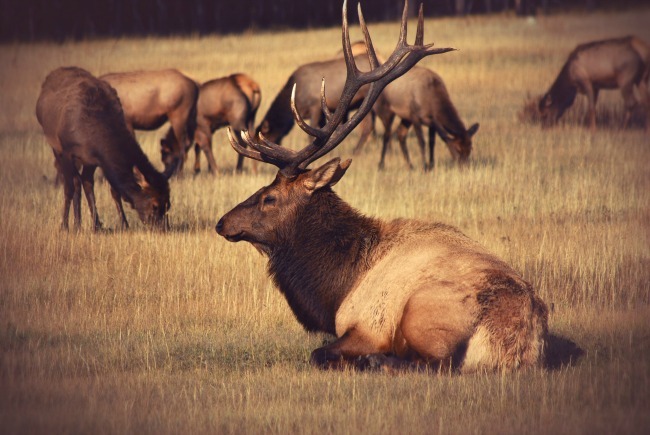 Over four years, the AGFC transferred a total of 112 elk into the area and monitored them closely in the hopes that a herd could be established. The attempt was successful. Today roughly 500 elk live in the Buffalo National River area. Fall is the perfect time to see elk in Arkansas. Rocky Mountain elk have the largest antlers among elk in America and by September the males are sporting antlers that can weigh up to 40 pounds. 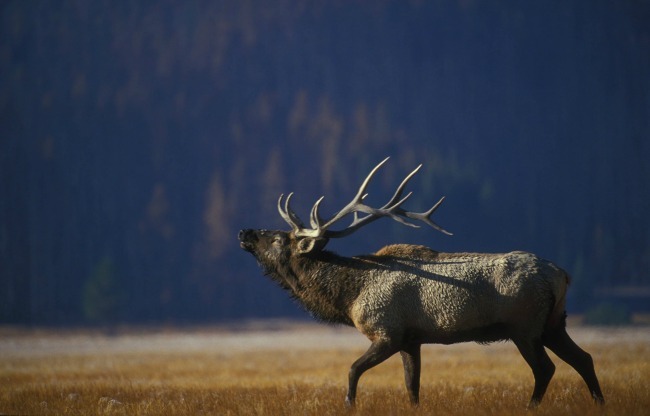 Fall is also the breeding season for elk and males attract females by bugling. They gather females into smaller herds and sometimes square off against other males. If you’re interested in viewing the elk, there are three locations in the Buffalo National River area to do so. Boxley Valley – Boxley Valley is located along Highway 43 and Highway 21. Drive south on 43 from Ponca. The land is mostly private, but it is one of the prime spots to view the elk. If you decide to stop, pull off the road entirely, use caution, and don’t block traffic or private drives. Watch out for elk crossing the road. Erbie Campground – One of the largest campgrounds in the Buffalo National River area also boasts views of the elk. Erbie is a few miles south of Jasper along Highway 7. Carver Bridge – Take Highway 123 south of Hasty until you reach the bridge. Elk can often be seen from the road, especially in the early morning or late afternoon and evening. Remember that elk are wild animals. Do not approach them and enjoy viewing these animals from a safe distance. The Arkansas Game and Fish Commission has allowed elk hunts since 1998, but snagging the chance to hunt one of the largest animals in Arkansas begins long before hunting season opens. Each June, the community of Jasper holds the Buffalo River Elk Festival. Elk hunting permits are drawn randomly at the festival. Applying for one of the limited permits begins May 1st. Hunters apply online through the AGFC site. Hunters can also apply for a permit in person at the festival. 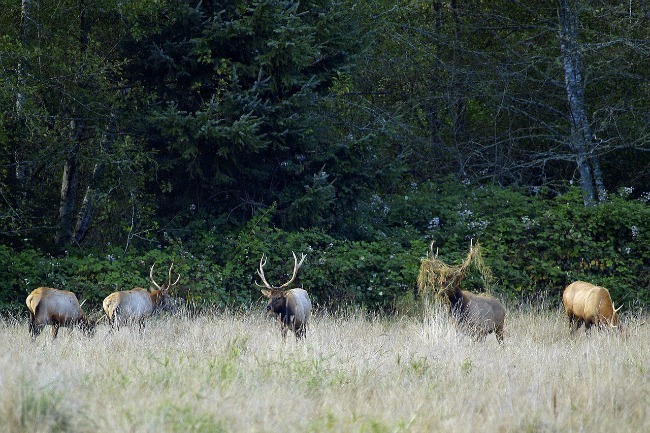 Although the permits are drawn in June, elk hunting on public land doesn’t open until October and hunters are subject to strict guidelines. Check out more about elk hunting and how to participate at the AGFC website. Whether you’re hiking one of the numerous trails in the Buffalo National River area and hear an elk bugling in the fall, cruising through Boxley Valley and spot the grazing herds, or hunting on a crisp October morning, the elk bring back the native beauty of a species once lost to Arkansas. To learn more about elk in Arkansas, visit one of the elk information centers in person. Ponca Elk Education Center – Located on Highway 43 just north of the junction with Highway 74. Hillary Jones Wildlife Museum and Elk Education Center – Located on scenic Highway 7 north of Jasper. 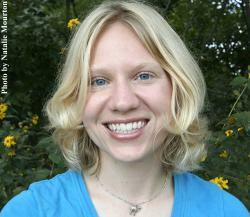 Find out more about hiking and camping in elk territory at the Buffalo National River website. 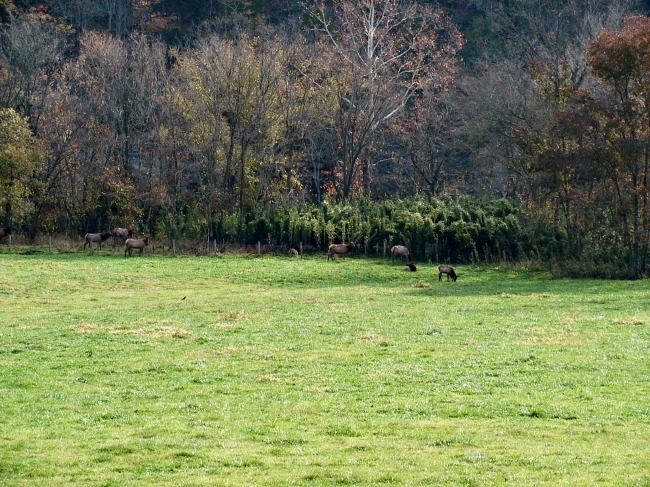 Photos of Boxley Valley and Buffalo National River elk by Doug and Amy Mitchell and used with permission.